The principal, teachers, and staff are very committed to our Nature Explore Outdoor Classroom. We recognize the importance of children connecting to nature on a daily basis. We have found that many of our students feel more at ease when they are learning outdoors. 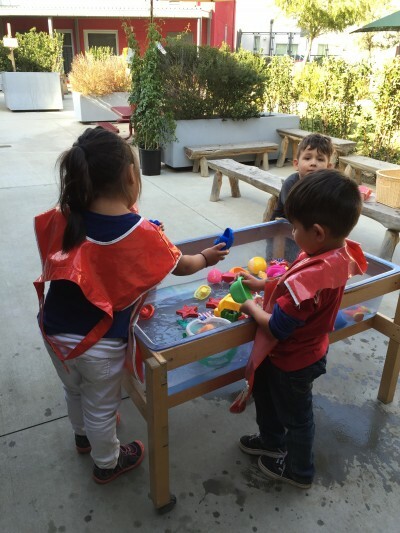 Our students, explore, sort, draw, paint, dance, sing, and play in our outdoor spaces. Our Outdoor Learning Committee is composed of staff who are dedicated to finding new ways for students to create and learn while outdoors. 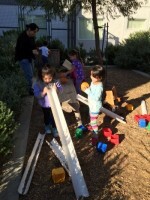 Our students have many hands-on experiences outdoors which change as our outdoor space evolves. 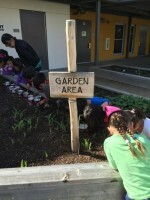 Our students plant and harvest in our garden area and we are venturing into planting in-between our designated outdoor spaces to enhance students’ learning and our outdoor space. As an outdoor classroom in California, we are very conscious of water usage. 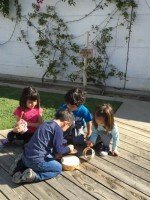 Our students recycle the water from their water table to water our garden and other plants! 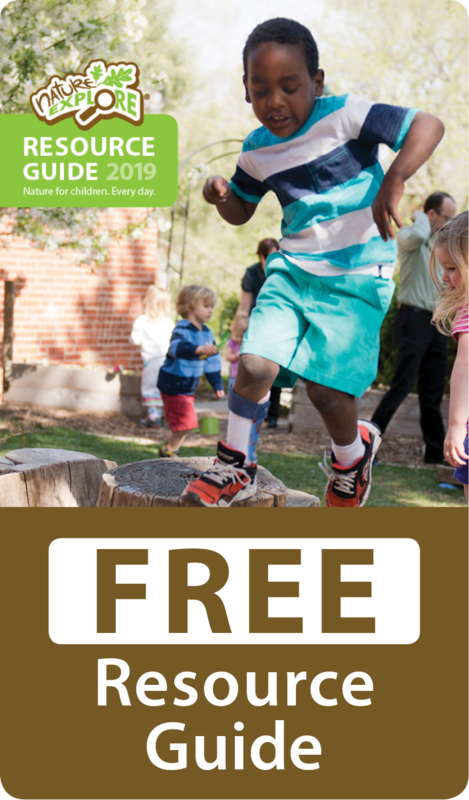 When we opened in July 2013 we made signs from tree bark, which became very weathered, so we decided to purchase signs from the Nature Explore Resource Guide. Our spaces include other materials from the Nature Explore Resource Guide as well as materials we find in nature. Students are exploring pine cones, leaves, twigs, roly-poly insects, rocks, and materials our staff and parents bring. Every parent is excited we have a Nature Explore Classroom. We have had our outdoor classroom as a topic at our parent meetings so parents will understand the learning that occurs. 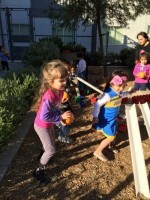 Parents are pleased our students are experiencing more of nature. There is truly something for everyone in our outdoor classroom as we have grass, bark chips, and decomposed granite to wander around in. You will see a wide variety of plants throughout the classroom and in the spring the beginning of planting our new crop of fruits, vegetables, and flowers. Since we are surrounded by the city of Los Angeles, one wouldn’t think we would have such a nature-filled space! 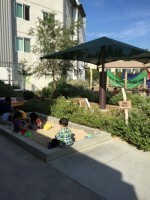 When we give tours of our early education center, prospective parents are most impressed with our outdoor spaces! Since our space is continually evolving, we are planning maintenance and cleanup days with staff and our families to beautify our spaces even more and to bring new materials to our spaces. We recognize that our spaces will continue to change and evolve, and we welcome that. 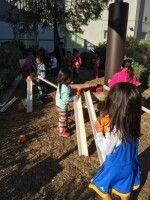 Our goal is to have an outdoor classroom where our students are learning and creating in a more relaxed atmosphere where they are free to move around and explore at their own pace.